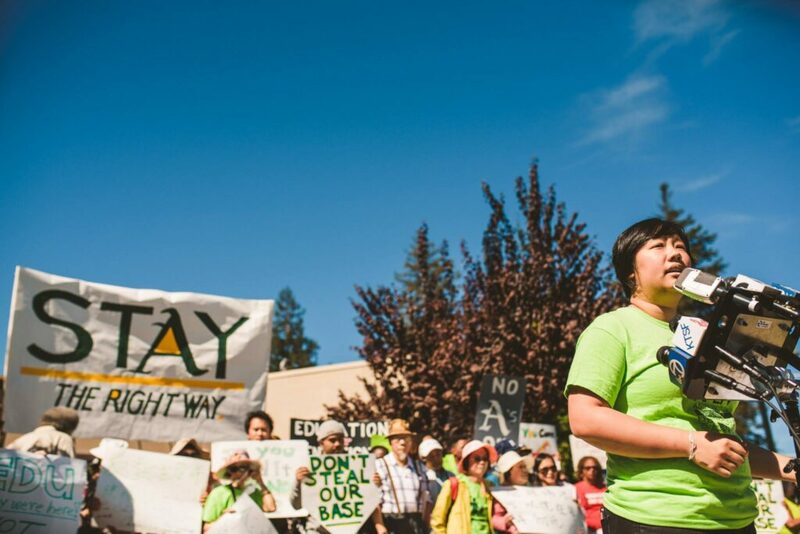 APEN empowers low-income Asian Pacific Islander (API) communities to achieve environmental and social justice. Join us for StAy the Right Way’s win! The Peralta Board of Trustees directed the Chancellor to stop all conversations with the A’s, STOPPING the mega development from coming to Chinatown! So, we’re turning our mobilization into a party! To thank the board for their decision and show of leadership in this moment, but also to be clear that any privatizing of public education and land will not be accepted be it a stadium or another private venture down the road. Join us for a celebratory “we’re still watching” with food, study hall, thank you card signing and more. Join us in telling the Board to act in the best interests of Laney students and Oakland’s surrounding communities by voting NO to the A’s proposal. Click here to see the facebook event. Like, follow and share the Stay The Right Way Facebook page for updates! This entry was posted in Blog, front-page-updates and tagged Anti-displacement, Oakland, stay the right way by Laiseng Saechao. Bookmark the permalink.